Families are an essential fabric of the human society. After all, humans represent the only specie capable of falling in love, getting married and starting a family. However, as much as we love our families, caring for everyone and maintaining healthy relationships can be a tough task due to the different personalities of the people involved. Ever wondered what life is like in a blended family? 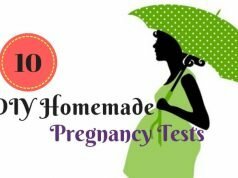 Is it the same as a first-time family? Let’s find out. What’s a Blended Family Definition? In a blended family, many personalities come together. The task of making things work is a difficult one. It will only get harder for you if you think your family is going to be a “one big happy family” from the beginning. Getting there will take time and effort, and it starts with knowing your family members. Give special time to your step kids. They need to get comfortable with you and they need to know that you will always be there for them. This part of their life is hard because they want their original family back. But with a new marriage, their dream may well be shattered. So, taking out the time to talk is important. The child needs to see that you are really putting in the effort to make things better. Doing so will build trust. Of course, while caring for your step child’s needs, you shouldn’t forget to take care of your own child’s needs. Also, you will need to make time for your partner. Family issues will come up; no one said this was going to be easy. The child might be angry with you for taking on the role of either parent. They may reason that you have no say in what they do because you are not their real father/mother. The emotional stakes are high, which is why patience is required. If you react on impulses, you might end up making things worse for everyone. Use this emotional imbalance to connect with them. They need someone to listen to them, so the best thing you can do is lend an ear. Allow them to express themselves freely without interrupting them. You might find this to be hard initially, but keep trying. When they know they have someone genuinely listening to them, they will calm down and be ready to listen to you. That’s when you can connect with them better. Laughter always helps ease tension. Even the most awkward situation can take a U-turn when laughter is introduced into the family’s daily dynamics. This method can help stepparents connect with their stepchildren and also build a strong bond among the children. So, what can you do? Introduce games that you and your family can enjoy. The games need to be something that everyone can be a part off. The benefits of doing this are two-fold. First, the children have a good time and connect with everyone and second, strong family bonds are in the making. Get the children to do activities that will make them work together. 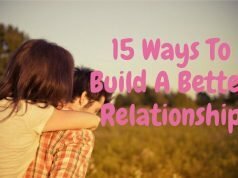 By doing these things, you can maintain relations better. Having good understanding among family members is very important. When problems arise, a family that understands each other will be more adept at dealing with the problem than one that has no understanding. So, how can you build understanding? 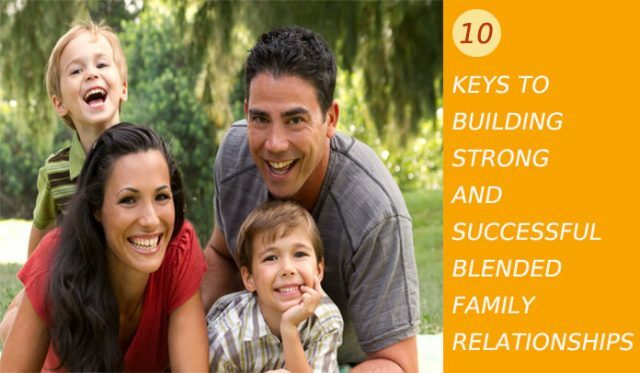 How can you make and build a bond in a blended family? It’s important to think about how you communicate with each family member. When a stepchild says that he misses his father or mother, don’t start stating reasons as to why you are a better parent. Try to understand his feelings and find out what he misses most about his biological father. When the child is able to express his feelings without hindrance, he will be more inclined to listen to your suggestions. If you feel that your stepchild is not disciplined, then don’t accuse your partner of doing a bad job. Instead, understand that it would have been hard to raise children with so much going on with her ex. When you understand this, a lot of unnecessary arguments can be avoided. Gather together as a family often. In such settings let each member express themselves without being interrupted. This will be really helpful in understanding each member. As a stepparent, it is painful to feel like an outsider especially if the new family isn’t doing much to help ease the feeling. Suppose the child got along fine with a prospective stepparent before the marriage and then finds it hard to connect – this could make the stepparent feel like an outsider. It can also happen when the feelings of jealousy between parents and children buildup and when arguments on trivial matters become a lot bigger than they should be. The best way to avoid making a stepparent feel like an outsider is to think from their perspective. Would you like to be treated as an outsider in your own family? No one would like that. Interestingly, it is the partner that can help the stepparent feel better. The biological parent can make things easier for the stepparent by making his or her status in the family clear to the children. It is also important to set time aside for your own children as well as your stepchildren. Help them connect with their stepparent and this will help ease the tensions. You may feel like you are ready to take on the role of a stepchild’s biological parent, but the truth is the children might not be as ready. They will always have a special place in their hearts for their biological parents, so If you want to build a strong blended family, you will need to learn to respect their parents. Talking nicely about their parents will actually help you strengthen your relationship with your stepchild and they will respect you more. With more respect among the family members, the strength of their bonds increases. It’s always an emotional time for children when they have to move back and forth between their biological parent, their stepparent, their old house, their new house, etc. Many suppressed emotions come up during this transition and it can be difficult for children to cope with them. How can you support them during this period? Be that person with whom they can talk anything about. Let them see that they can relax around you and cry if needed. When they express themselves in whatever way they feel comfortable, they will have a much better time with you. You will have to adjust your schedule a bit to make sure that you are available during the transition. But your sacrifice will be worth it because you are building a relationship that will make your family life a happy one. As a parent, you know how to take mature decisions; many times such decisions call for compromises. You won’t yell back at your biological children or stepchildren if they yell at you because you don’t want to make matters worse. This means that you are suppressing everything you would have said on impulse. This isn’t good for your health. So, the best thing you can do is find someone to talk to outside of your family. A neighbor, a friend or someone you trust – it could be anyone. This person needs to be the type who wouldn’t offer counsel right off the bat but would patiently listen to you. It’s important to be able to talk to someone who will only listen and not advice. When you do this, you will release a lot of frustration and you will be able to deal with things at home better. Make no mistakes – taking care of your blended family, maintaining your relationship with your better half, and providing for your family – everything will take a toll on your, mentally and physically. it is easy to reach the point of burnout. All you need for things to go wring is one conversation done out of instantaneous anger and frustration; it could undo several months of your since efforts into making things work. What you need is good old-fashioned “me time”. If you don’t take the time to relax, it can affect all areas of your life. So, as a compulsory thing, make the time to relax. Read a good book in a quiet environment, or go out with a friend to a weekend getaway. You could also visit your family and spend time with them. When you take the time to relax, you will feel refreshed and ready to take on more challenges. This is probably the hardest step of all. Disciplining is never easy but it needs to be done nonetheless. So how can you avoid the ‘you’re not my father/mother” scenario? The truth is, you can’t, but you can ease the tension. It’s easy to walk into a family and judge the mother/father for not inculcating the virtue of discipline among their children. Think about this, the stepparent sees the children very differently as compared to the biological parent, because there the nature of emotions is very different – atleast at the beginning. So, any corrections may be viewed as harsh by the biological parent and no so much by the stepparent. So, what can the stepparent do to avoid making matters worse? Don’t go changing all the rules. The existing ways of life for the children are there for a reason; try to see their benefits. You can discipline the stepchildren by building upon the means and methods they’re already aware of and comfortable with. If you have any disagreement with your partner regarding children’s discipline, sort them out privately. Bring in your methods gradually and make it a point to explain why things are a certain way. When they understand your motivations behind expecting the kids to do things differently, they’re more likely to follow it. Step-parenting can be hard, but remember, you chose this. If you want to start a family, you’ve got to be prepared for sacrifices. Remember, you cannot treat the stepfamily like a first-time family. The issues that you face in a first-time family are now here comparable to those of a blended family. A blended family is best visualized as the seams in a patchwork quilt. When the stitching begins, the seams are weak, but as time passes and the seams are sewn carefully, the patchwork is as strong as the original cloth. Similarly, a blended family needs careful and continuous work. The bonds among stepparents and stepchildren must be sewn carefully by taking into consideration the feelings of others, by being patient, by treating justly, by knowing how to discipline. Doing these things will ensure that you will build a successful blended family.